To whet your appetite for the BBC Good Food Show at Olympia, London from 11th – 13th November 2016, here’s a mini Q&A soundbite from Nadiya Hussain, the 2015 Great British Bake Off winner (as if I needed to remind you). Sadly it wasn’t an interview with me but via the publicity people who organise the Show who have kindly allowed me to post it here. Q. What is your favourite dish to cook? N.H. I love one pot dishes. So a chicken tagine, with preserved lemons and dates. Served with lemon couscous. Q. What is your top tip for festive cooking? N.H. Try and do as much in advance. I like to pre prep anything that can be done and then par cook anything that can be finished off last minute. I always par cook/blanch my roasties and then freeze them and cook again in fat to get them really crispy. Q. What is your most treasured item in the kitchen? N.H. My favourite thing in the kitchen has to be my micro plane. I can’t believe how well those things grate the zest of any fruit. I’m always mesmerised. But my treasured item would have to be my oven as without it I’m quite literally half a person. Recently moving house I hadn’t used an oven for 9 days – it’s the longest I have been without baking and it was pretty tough. Q. What are you most looking forward to about the BBC Good Food Shows? N.H. I have attended the BBC Good Food Shows before but this year it will be interesting to come back since so much has changed. Very excited to be a part of it all. Q. What new ingredient or ingredients are you inspired by right now? N.H. I am loving yellow ras-el-hanout. It works so well as a coating on fish but it’s even better with slow cooked lamb. Don’t forget that I have two *FREE* tickets up for grabs – you can go to the Show in London on Friday 11th November or Sunday 13th November 2016. 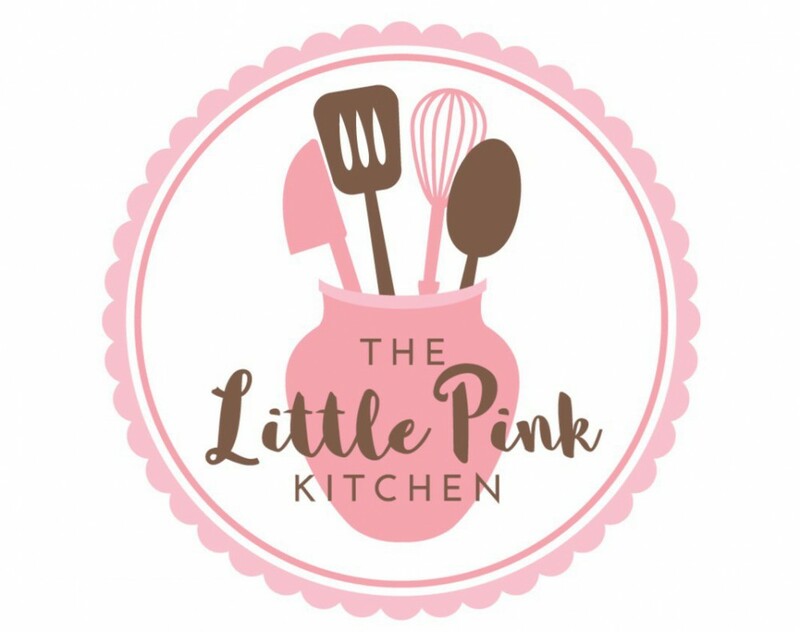 Follow me on Twitter for details of how to enter the draw – @TheLittlePK. In the lead up to this year’s Good Food Bakes and Cakes Show in London (13th – 15th November 2015 in London), the awfully nice people who organise it are allowing me to share a dessert by John White, the charismatic winner of The Great British Bake Off in 2012. It’s not just any old dessert though – John has created a chocolate cherry delight that will wow your guests at any time, but would go down particularly well at Hallowe’ en. So if you fancy making – and eating – a rich chocolate cake topped with a light cherry mousse and decorated with chocolate ‘feathers’, read John’s reminiscences about how his mum planned Hallowe’ en and what inspired him to create this recipe. Then go for it! When I was a tot mum used to throw the best Halloween parties for us: bin bags torn up and hung from the doorways, cobwebs covering the entire ceiling, and even disco lights in the dining room to create an eerie environment. Bin bags, however effective in the Nineties, wouldn’t quite cut it nowadays, and so I need to impress my guests with food. 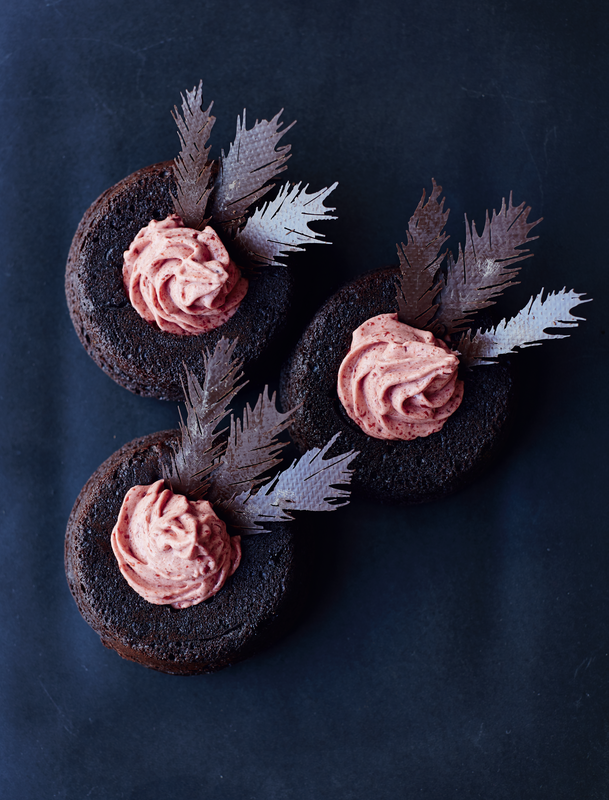 These little rounds of cake, filled with cherry mousse and adorned with a tempered chocolate plume of feathers, are just the thing for an adult Halloween party. They were inspired by Edgar Allan Poe’s ‘The Raven’, that haunting poem of waiting and fear. These beautifully light chocolate, cherry and coffee cakes are well worth the wait. 1 Preheat the oven to 200°C/180°C fan/Gas 6. 2 Place the cocoa powder and sugar in a mixing bowl and stir together until well mixed and fairly lumpfree. Add the hot water and stir to a smooth paste, then beat in the yoghurt, egg, extract if using, and the melted chocolate. Sift over the bicarbonate of soda and flour and fold to a smooth batter. Put the batter into the piping bag with a 10mm nozzle and divide between the 4 prepared moulds. 3 Bake for 10–14 minutes, or until a skewer gently inserted into one of the cakes comes out clean. Remove from the oven and de-mould immediately, and allow to cool on a wire rack until completely cold. 4 To make the cherry mousse, soak the gelatine leaves in a jug of cold water – put them into the water one at a time or else they’ll stick together and never dissolve. Blitz the cherries to a mush in a food processor or with a stick blender, then put into a small saucepan and add the sugar. Bring the cherry pulp and sugar to a boil, then simmer and allow to reduce down to a loose compote consistency. While the cherries are still hot, squeeze the surplus moisture out of the gelatine leaves and add to the pan with the cherries. Add the food colouring. Stir until the gelatine has dissolved, then allow to cool completely, but don’t let it set. 5 When the cherry compote is cool, whip the cream to soft, floppy peaks, and gently fold together with the cherry compote. Put the mousse into the piping bag fitted with large star nozzle. 6 Place the chocolate nests on serving plates, and pipe a large, indulgent swirl of the cherry mousse in the centre of each one. Chill until needed. 7 For the tempered chocolate feather, put the tempered chocolate into the piping bag with small writing nozzle. Pipe a fairly thick line of chocolate about 10cm long, then, with the tip of the nozzle, drag the chocolate out diagonally on either side of the line to create a feather shape. Make 12 in total, each a slightly different size, and allow to set at room temperature. 8 Once set, place 3 into the mousse of each Raven’s Nest to create a dramatic, haunting finish. Sift over some cocoa powder if desired. Fun With Friends, Cakes and An Extra Slice! I’ve previously mentioned that I belong to a Twitter-based group called ‘The Sunday Baking Club’. During the week a baking theme is set for the following weekend and on the Sunday, people post photographs on Twitter of their creations. The top 10 are selected and put to a public vote. Whoever gains the most votes wins the big prize, namely a ‘virtual’ Golden Spoon Award. With an incentive like that, who wouldn’t want to take part? Anyway, the BBC picked up that the group existed and Dominique the organiser was asked if any members would like to attend filming of ‘An Extra Slice’, which is the spin off to ‘The Great British Bake Off’ and airs on a Friday night. 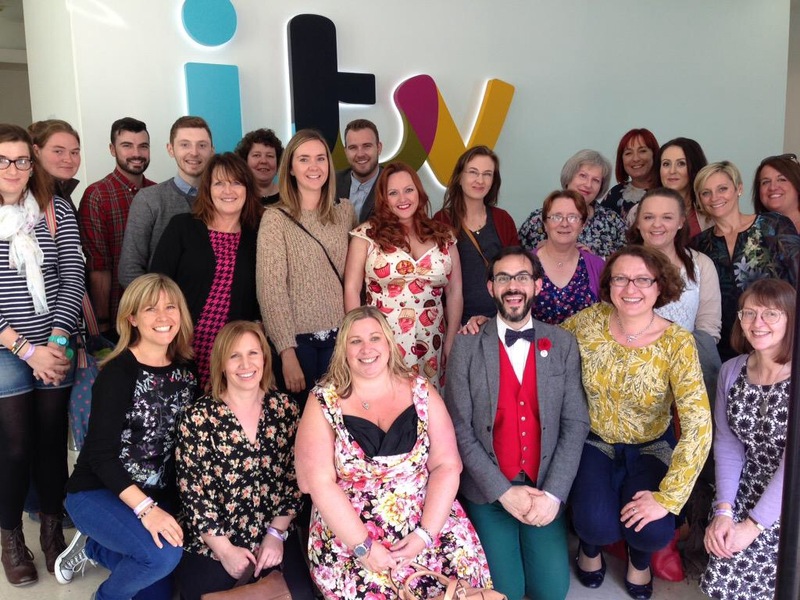 A robust group of individuals (me included) took up this exciting opportunity and on Sunday 20th September 2015 we found ourselves heading to Waterloo station to meet up before heading to the TV studio nearby. I didn’t have to travel too far as I live in Surrey / south London but I was astounded to see that other Bake Off loving Sunday Baking Club fans had travelled from the Midlands, Staffordshire, Norfolk and even Leeds to attend the filming. Now that is true dedication to the baking cause. Some of the attendees had met previously while others identified themselves by their Twitter names which was very amusing but put everyone at ease right away. It did feel a little weird though saying “I’m The Little PK. How do you do?”! Of course, our group didn’t just consist of a number of bodies – there were large amounts of cake and patisserie items too – well it was ‘patisserie week’ after all. I’m in awe of those people who travelled great distances with large boxes while navigating trains, tubes and buses and managed to keep their bakes in one piece. We trooped of to the ITV studios and arrived at 1.15pm to be checked in. Here’s the group photograph taken in the reception area. What a fine, upstanding bunch of cakey bakey enthusiasts we are. Can you tell we were just a little bit excited? We were given rather fetching lilac wristbands and then were escorted to a room where we had to sign a confidentiality agreement. This was because we would be seeing the following week’s episode and would know before the general population who was booted out. After that, we unveiled our cakes and bakes and a chap called Oliver walked round asking people for details of what they had made. The TV team were clearly going to highlight any unusual or interesting bakes that would be discussed during filming. I’m afraid that I wasn’t able to bring anything spectacular. As I’d spent the day before viewing houses, I hadn’t had time to make a large cakey extravaganza so I’d kept it simple with lemon madeleines and cherry bakewell chocolate dipped Viennese whirls. They tasted rather good though so I was pleased with them. (I used Edd Kimber’s recipe for the Madeleine which was in his book “Patisserie Made Simple”.) At least I had something to display when the phrase “Show us your bakes” was announced later on. 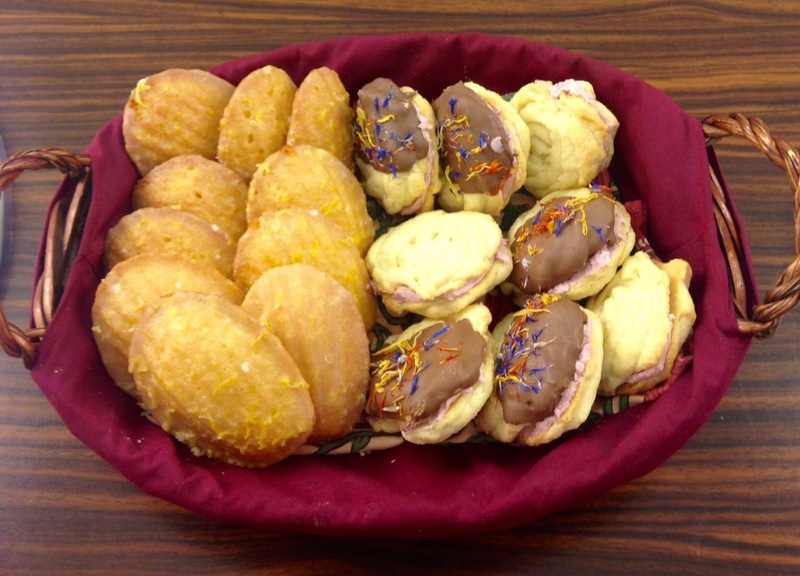 However, some of the Sunday Baking Club devotees had come up with some great creations – more about those later. Back at the studio and after a bit of hanging around and a briefing from the Extra Slice producer, we were led into the area where filming would take place. Our group was fortunate that we were all seated in ‘First Class’ i.e. at the tables close to where Jo Brand and the celebrity guest panel would be sitting. Except that Jo Brand was not available that day and so the lovely Sarah Millican was standing in. We watched the following week’s episode and therefore were aware of who got knocked out. As I’m posting this after this has become public knowledge and after the Extra Slice show has aired, I can now say that I was very disappointed that Paul the Prison Governor left this week. He’d had a few hairy moments earlier on in the series and it was sad to see that patisserie week got the better of him. I was hoping he would be in the final but it wasn’t to be. After we’d seen the episode, the panel came in and filming started. The panel consisted, as usual, of three people and I’m embarrassed to say that I’d only heard of Gregg Wallace. The patisserie expert was a lady called Cherish Finden who is the Executive Pastry Chef at the Langham Hotel. It seems one of her finest moments was making doughnuts for Lady Gaga but from what she said, they were above average doughnuts. The other panellist was a (very) young comedian called Joe Lycett who was quite funny and had a style of delivery reminiscent of Julian Clary (who is more my age group). Sarah Millican introduced the proceedings and discussed the episode with the panel. I thought she did a good job of covering for Jo Brand (who I would have liked to see) but Sarah does talk remarkably quickly and I found it a bit of a challenge keeping up with her! The filming then moved to showing bakes – both good and bad – that had been sent in via social media. The less successful bakes did elicit a few sniggers but they were very funny. I think it’s great that people can make fun of themselves and are such good sports. 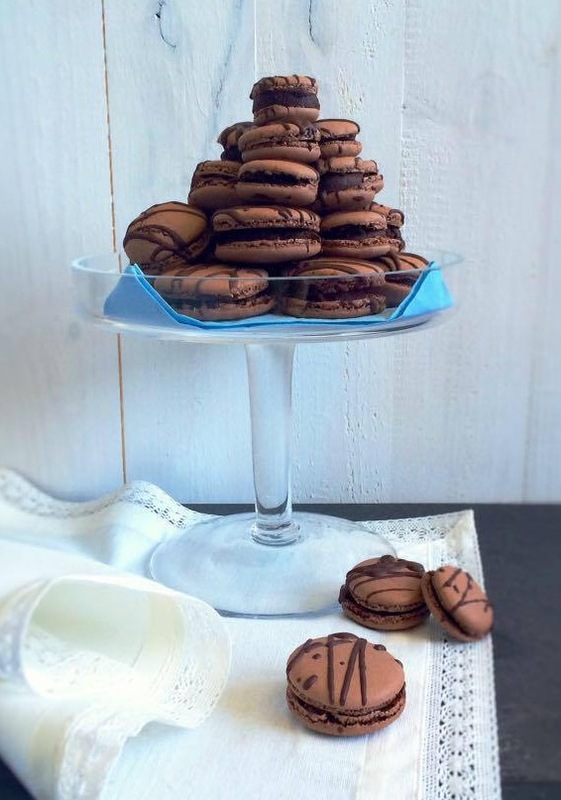 and John spoke about his elegant looking ‘chocolate and Marmite macarons’ which clearly intrigued the panel, who insisted on tasting them. Now I’d tasted one of these earlier in the afternoon and John didn’t mention Marmite to me at the time. I found it to be delicious but either my taste buds are lacking or I have got used to Marmite but I could only sense a rich chocolatey flavour, certainly no hint of the savoury yeastiness that you either love or hate. One or two other bakes were picked out for discussion but I wasn’t close enough to see them properly. And then hilarity ensued when a lady was asked to show what she had brought along and it was – apparently – a hedgehog made of choux pastry with a few chocolate fingers added. Well, the studio dissolved into laughter as quite frankly, it looked like a hedgehog that had been run over. It looked like roadkill. To paraphrase the Monty Python dead parrot sketch (yes, I am that old…. ), “The hedgehog is no more. It has ceased to be. This is a late hedgehog. It’s a stiff.” You get my drift. And then came the big moment when poor evicted Paul was interviewed about his performance during patisserie week and his thoughts on the whole Bake Off experience. I thought he was a lovely chap even when he was ribbed about his flat Genoise cake and his banana disasters. Given the amount of time that was spent filming the panel discussions which was then going to be edited down to fit the half hour time slot for the programme, I felt that not much time was spent on Paul and his story but that’s life I suppose. The filming concluded with Sarah Millican recording the trailers for the programme and redoing a couple of earlier talky bits. We, the audience, didn’t leave the TV studio until almost 8.30pm so it turned out to be a very long day although it was good fun (bar the various times spent hanging around). I love meeting up with fellow baking enthusiasts and the members of the Sunday Baking Club are a great group of people. I went home tired but happy with a warm, fuzzy glow after meeting up with the cakey crowd. The fact that I was also clutching a box of marvellous macarons given to me by SBC member Joyce rounded off the day nicely. Having now viewed the programme, I was a bit disappointed that I’d blended into the background so well that the cameras completely missed me (apart from one fleeting glimpse at the beginning) thus depriving me of even 15 seconds of fame. BUT it was lovely that my baking friend John had his Marmite macarons tasted and discussed by the panel and to see bakes by other friends getting some screen time. Sadly Rebecca’s cake (pictured above) didn’t make the final cut. 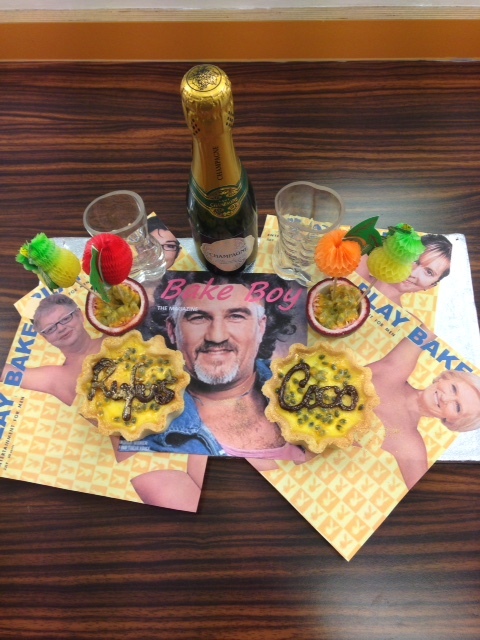 I leave you with a final cake made by Clare that was fabulous but perhaps a little too risqué for the BBC!